What can you do with FIFA 20 Coins (FUT Coins)? 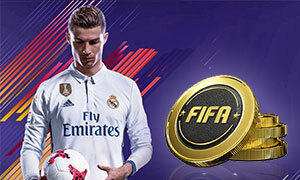 Packs - Once you exchange your FUT Coins for points, you can purchase packs with the points. A pack contains a random set of things or players that can boost your team. You can choose from different levels of packs. Draft picks - Draft picks are one of the ways you can use points or coins for a chance to add strong characters to your roster. Besides, you can buy FIFA 20 Ultimate Team Accounts, and FIFA 20 Comfort Trade (FUT Comfort Trade) Service for all of consoles, such as PC, PS4, Nintendo Switch, Xbox One, etc.